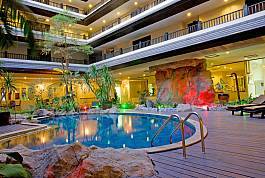 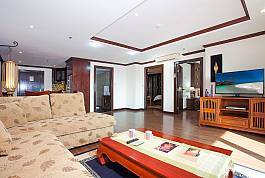 If you are looking for an expansive and luxurious apartment within a convenient location between Jomtien and Pattaya, this chic two-bedroom condo within an expansive development that provides communal facilities such as a swimming pool and a gymnasium is one of the best finds imaginable. 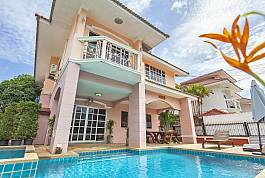 Situated in the ideal location for a convenient yet laidback holiday experience just over 1km from Jomtien Beach, this 3-bedroom villa is a real find. 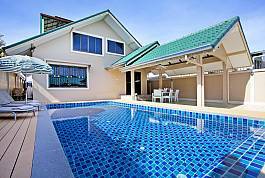 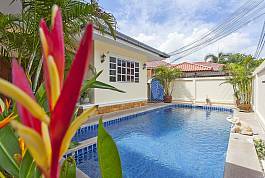 Modern, spacious, near the beach and coming with a private garden and pool, this villa sleeps up to 6 and is the perfect family villa in Jomtien. 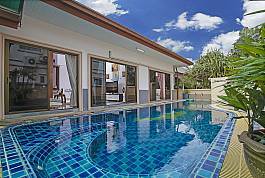 Baan Phailin offers modernity and comfort in a perfect balance for holiday enjoyment. 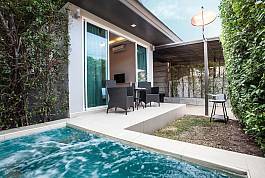 Situated just 1000 m from Jomtien beach, the four-bedroom villa is in a peaceful and quiet area, but with easy access to all the attractions of Eastern Thailand's most famous resort area. 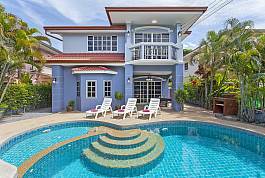 This villa has 3-bedrooms and is located in a 5-star development in the Ban Amphur area, a 5-minute drive to the beach and even closer to Silverlake Vineyard and Buddha Mountain. 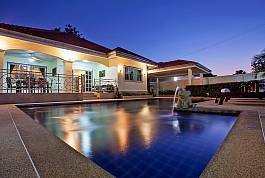 The villa is perfect for families or groups of friends looking to holiday amidst beautiful countryside in a peaceful setting.